PUREMOS as a prebiotic improves Gut health, Digestibility, Builds Immunity and is an effective Toxin Binder. 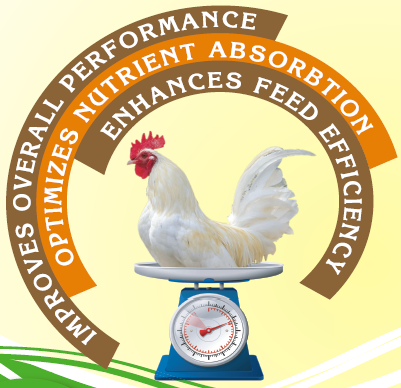 Increase in the feed cost, finding suitable feed ingredients at an affordable price, checking the mortality in the challenging situations are the most critical problems faced by feed formulators, integrators and layer farmers. PUREMOS is an assured solution to combat these problems. PUREMOS is a yeast cell wall. It has complex sugar molecules Mannan Oligosaccharide and Beta Glucan. These are un-digestible fibres which bind the pathogens effectively and flush them out of the gut. PUREMOS helps to build the beneficial microflora which improve digestibility and utilize the feed better. 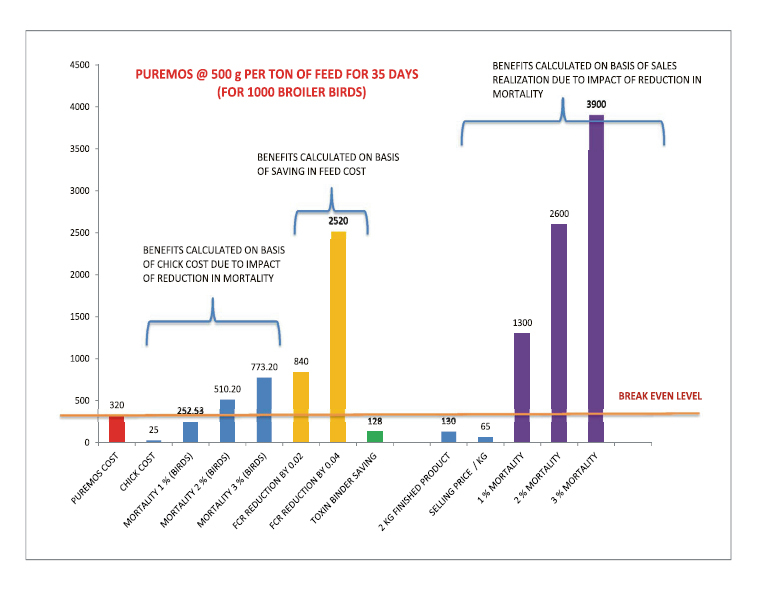 PUREMOS binds all major mycotoxins found in the feed and has the ability to effectively flush them out of the gut. PUREMOS brings more profit because, It improves the Feed Conversion Ratio and saves the feed. Cost effective and at par with international standards. A pre-requisite for the establishment of many entero-bacterial infections is the need for the pathogen to associate closely with the host tissues. Intervention at this stage in the disease process is usually sufficient to suppress the development of clinical symptoms. The above basic principle has led to the development of infection therapy based on natural receptor analogues or oligosaccharides. Multivalent legands are more effective than free simple sugars, especially for bacterial strains with multiple specifications and various attachment structures. If the pathogens can be bound before they reach the targettissue surface then adherence and colonization can be prevented, PURE MOS is one such product, which therefore can be used without antibiotics, in order to maintain gut health, thereby minimizing the risk of increasing bacterial resistance typically incurred when antibiotics are used. Now because this specificity of attachment, pathogen binding by such alternative methods does not interfere with the colonization of the gut by beneficial organisms; which bind to gut mucosa which utilize other adhesins and oligosaccharide structures to facilitate attachment. Approximately 75 % of all irnmune cells in the body are located within the intestine as a part of the gut associated lymphoid tissue (e.g. IgA antibodies). These substances provide protection by preventing bacteria adhering to intestinal epithelial cells and by inhibiting the absorption of toxins. In order to remove antibiotics and other prophylactic drugs in feed, Beta-glucans is the right candidate. It enhances the production of anti-inflarnmatory IgA and protects the animals against pathogens and improves performance of food producing animals. It can overcome the stress-induced immuno-suppression to re-adjust the immune functions to normal level. PURE MOS is the most efficient toxin binder. It adsorbs mycotoxins over a pH range that brackets the G.I. tract of most animals. The combination has a very strong adsorbing capacity for aflatoxins, zearalenone, fuminosin etc.